Monarch Bay is a beautiful 24-hour guard gated neighborhood with custom homes in Monarch Beach, Dana Point, right in the border with Laguna Beach. This is a highly desirable neighborhood as the homes not only typically have large lots and ocean views, but the Monarch Bay homes have access to the Monarch Bay Club, a beach club that used to be owned by the St Regis Resort, that has a private beach with oceanfront dining, a private club house, surf lessons, snorkeling, beach volleyball, kayaks and other beach activities for the members to enjoy. Search all Monarch Bay Homes currently listed for sale in the MLS, including short sales and foreclosures. For more information about any of these Monarch Bay Homes, call us at (949) 888-6788 or read more about the Monarch Bay Real Estate options. The Monarch Bay neighborhood offers distinct real estate options. Apart from the Monarch Bay Club, the homes usually have large lots, and of course, the highly searched for panoramic ocean views. Monarch Bay Real Estate has a great location, one of the most private in all Dana Point. The Monarch Bay community is divided in 2 different areas: the north side of the community has many ocean front and single level non-view homes. The south side of the community has many direct ocean view properties that overlook the Monarch Bay beach. A road leads down to public parking for the community clubhouse as pictured below. The Monarch Beach Resort ( previously the St Regis) has a resort tram that leads directly down from the hotel and goes directly to the clubhouse for it's guests. The Monarch Beach golf links is also located next to the Monarch bay community. The Monarch Beach Resort is a 5-star award winning resort. 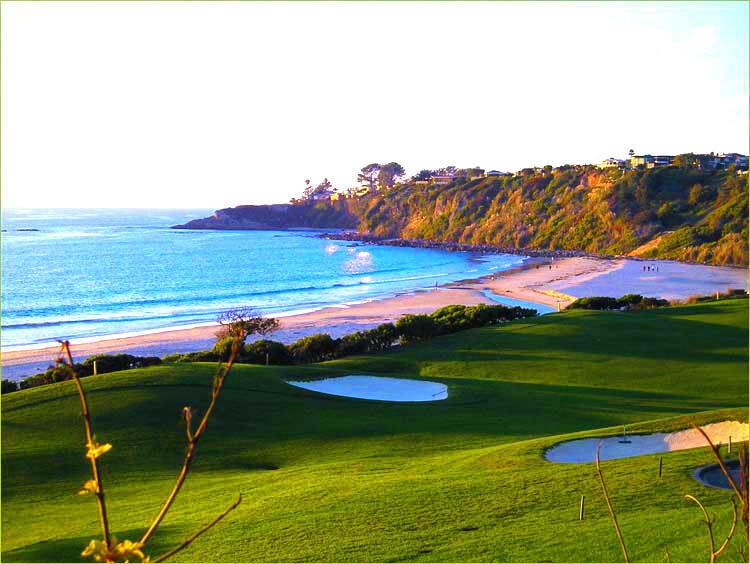 OCExecutives specializes in real estate transactions of Monarch Bay Homes in Dana Point, California. Contact us today to sell real estate or buy real estate in the Monarch Bay community of Dana Point or for more information about any of these Monarch Bay homes. If you would like to see a list of homes in other communities in Monarch Beach or Dana Point, follow the links above, or click here for other Dana Point Real Estate.